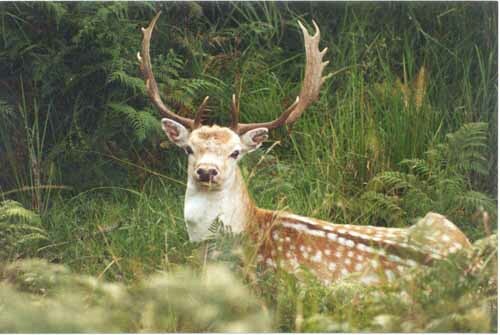 Appearance: Fallow are medium-sized with more colour variations than any other deer. The three main colours in Australia are black, white and reddish-brown with white spots. Antlers: They have brow and trez tines and are usually well palmated. Trophy size: SCI has included a palm measurement with a multiplication factor to award extra palm growth. History: There have been many liberations throughout Australia the first of which was around 1850, with stock originating from England, Denmark, Sweden and Greece. Hunting Fallow in Australia: During the March-April rut they roar and grunt, and fight aggressively and are prone to breaking points. We spot-and-stalk.